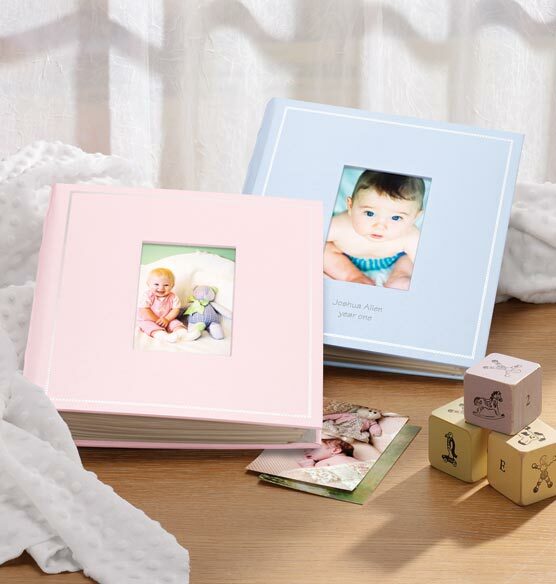 Personalized baby albums become lifelong treasures and our Beautiful Baby photo album has room for plenty of precious memories. The vertical front cover window frame features a favorite photo. Custom text appears at the bottom. Love the pink pages I ordered with the album; also the spot for a photo in the cover. Bought my first album 8 years ago for my first son. This album is sturdy and holds more pages(high capacity) than most albums. Bought a second one for my first son a few years later. I am about to order another one for my second son. This is the best album hands down! 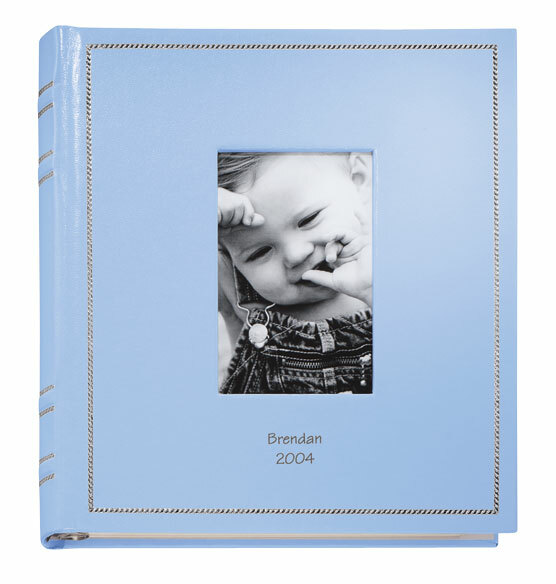 It IS a "beautiful baby personalized photon album"
I purchased this photo album after my first grandson was born to display his photos as the years go by. I am doing the same for my second grandson. I have purchased beautifully made LEATHER photo albums from Exposures before ...in fact all of myfamily's photo albums are from Exposures. 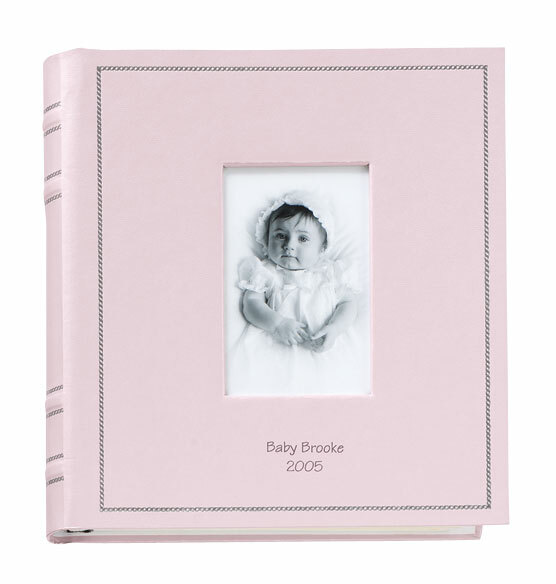 But this one, the PERSONALIZED BABY ALBUM is JUNK. Unable to return it because I had personalizd it, I am embarrassed to give it as a gift because of the shoddy quality. it is made in Taiwan of cardboard and even the engraving material looks cheap and unlikely to last. I got this album for my grand-daughter and liked it so I got the same one for my grandson. perfect for my new grandchildren. BEST ANSWER: Thank you for your question. Unfortunately no, the pages are sold separately.We hope this information will be of help to you. The baby album comes with one package of assorted pages. when will periwinkle be available? BEST ANSWER: Thank you for your question. Unfortunately we do not have a date at this time when the Beautiful Baby Album Perwinkle will be back in. We apologize for any inconvenience. BEST ANSWER: Thank you for your question. At this time we do not have the matching boxes to the photo album. We hope this information will be of help to you.